Robert Lee, President of the Contemporary Art Society of Victoria opened the inaugural A4 Art Australia exhibition. 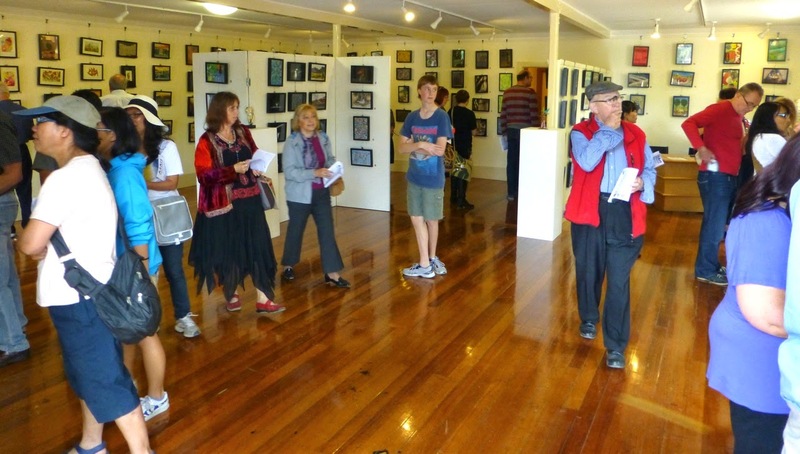 The exhibition was put together by a team of volunteers from the Contemporary Art Society of Victoria. In his opening comments Robert said "The idea is to give Australian artists the opportunity to exhibit their artwork, at low cost, and support metropolitan, rural and regional artists across our vast continent." "Our committee has selected 286 contemporary artworks, representing 101 artists from across Australia in this National Showcase of A4 sized artworks. The range of media used is equally diverse: including acrylic, aquatint, bronze, canvas, ceramic, charcoal, clay, collage, crayon, cyanotype, digital print, enamel, etching, felted wool, giclee print, gouache, graphite, hahnemuhle rag paper, ink, lightwood, linocut, mixed media, oil pastel, pastel, pen, pencil, photography, polymer, porcelain, printers ink, rice-paper, textile and watercolours! 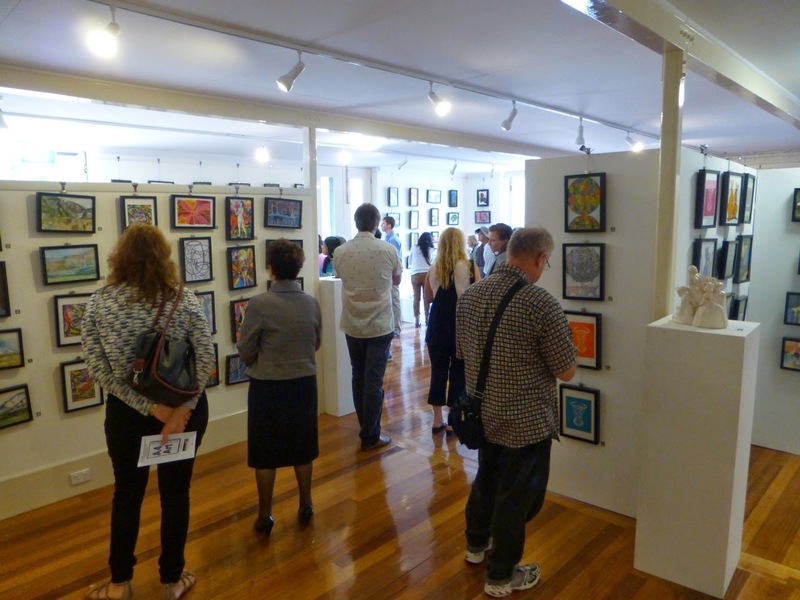 We believe this show demonstrates the range of talent and creativity of Australian artists! All works are for sale, and when you purchase one, you not only get a great artwork, you also show your support of Australian artists!"